Meeting Minutes – September 2014 | F.F.A.M. 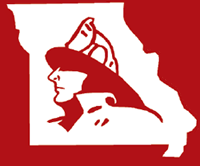 President Kenneth Hoover called the meeting of the Board of Directors of the Fire Fighters Association of Missouri to order at 9:00 a.m. Sunday, August 3, 2014 at the State Fair Fire Department in Sedalia, MO. President Kenneth Hoover, Little Dixie FPD; First Vice President Tim Bean, West Plains FD; Second Vice President Charlie Neubert, Highlandville Rural FPD; Secretary Treasurer Jaime Miller, Johnson County FPD; Sergeant-at-Arms Rex Reynolds, Southern FPD of Holt County; Past President Keith Smith, Warrenton FPD; Historian Kay Asher, Wentzville FPD. District 1, Terry Wynne, Galt FPD; District 2, Greg Wright, Shelbina FD; District 3, Larry Jones, Madison West Monroe FPD; District 6, Richard Gordon, Cole County FPD; District 7, RB Brown, Eureka FD; District 11, Monty Thompson, Kearney FPD; District 14, Rick Dozier, Southern FPD of Holt County. District 1, Janet Cain, Braymer FR; District 11, Roger Meyers, Concordia FPD; District 11, Ryan Miller, Norborne FPD; District 14, Glenn Dittmar, South Central Buchanan County FD. Greg Carrell, Missouri Division of Fire Safety; David Hedrick, Gail Hagans, MU FRTI; Larry Jennings, Joe Jennings, Johnson County FPD; Donald Vaucher, Harriett Vaucher, Eureka FPD; Grant Oetting, Higginsville F&R; Blake Beahler, Dakota Davis, Cosby Helena FPD; Gordon Ekedahl, Madison West Monroe FPD. President Hoover asked for additions to the agenda. R.B. Brown moved to accept the agenda as presented. Charlie Neubert seconded the motion and all approved. President Hoover asked for corrections or additions to the June 1, 2014 meeting minutes. No corrections were made. Charlie Neubert moved to accept the minutes as presented. Rick Dozier seconded the motion and all approved. President Hoover asked for a review of the May 2014 financial reports. Charlie Neubert moved to accept the financial reports as presented. Monty Thompson seconded the motion and all approved. David Hedrick with MU FRTI reported that 115 classes have been scheduled so far for the upcoming fiscal year. MU FRTI has once again received funding assistance through the state. The 2014 year-end report is being developed at this time. 13,958 students completed 74 different course topics and training was delivered to 1,306 agencies during the year. 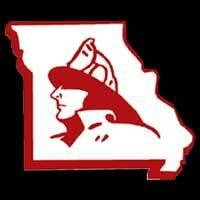 The 2014 Instructor Conference will be held October 24-26 at Lake of the Ozarks. There is still space available. 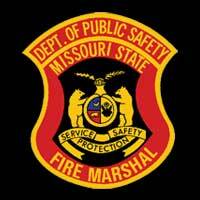 Acting State Fire Marshal Greg Carrell with the Division of Fire Safety reported that proposals have been received from different vendors for class offerings and classes will be available soon. $200,000 allocated from the state for firefighter training is still being restricted by the Governor. The DFS is still reviewing their budget and working on legislative measures pertaining to the fire service that will be upcoming. Harriett Vaucher reported that over 30 states and more than 150 survivors were represented at the National Fallen Firefighters Survivors Conference held in Clayton, MO in May. 42 different classes were offered. $70,000 was donated to the foundation to offset expenses. 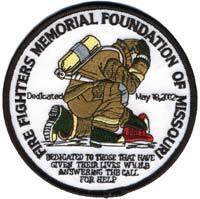 There is new fund-raiser available to help benefit the National Fallen Firefighters Foundation and the Missouri Fire Service Funeral Assistance Team. A maltese cross flower vase is available for purchase for $50 without flowers and $60 with flowers. $10 from the sale of each vase will go to the NFFF and $10 from the sale of each vase will go to the funeral team. The vases can be used as table centerpieces for banquets or other fire department events. They will be available for sale on the website soon. President Hoover thanked everyone involved with the funeral services for Art Smith as well as those that attended. Discussion was held on FFAM jackets available for purchase by members. The Board advised Secretary Miller to select a design and proceed as necessary. 1st Vice President Tim Bean advised that budget requests will need to be submitted to the committee by the October meeting. David Hedrick reported that the National Federation of Fire Chaplains conference will be held October 17-23 in Annapolis, Maryland. Richard Gordon reported he would be reviewing the contest site for the 2015 convention. He is taking suggestions for any additional supplies for the contest trailer. The dates for the 2015 convention are May 1-3 at Tan-Tar-A. Larry Jones reported that reservations can now be made at Tan-Tar-A. R.B. Brown reported that the new theme is “Working Smoke Alarms Save Lives, Test Yours Every Month.” Please get the word out about the poster contest to your local schools. 2nd Vice President Neubert reported the following membership counts: 412 Directors/Councilman; 261 Retired; 20 Associate; 12 Sustaining; 14 Corporate, 354 Departments; 7549 Active. Keith Smith reported that there are still no recommendations for open director positions. President Hoover advised he is working on filing the position in District 12. Keith Smith reported the Council is working on questions that have come up regarding department funding and grant opportunities. He will be attending the fall meeting in Lafayette, Louisiana in September and report back at the October meeting. Monty Thompson reported everything is ready for the start of the State Fair on August 7. The Car Club of Sedalia fixed the 1929 engine. It may soon be available for use throughout the state at parades and other events. 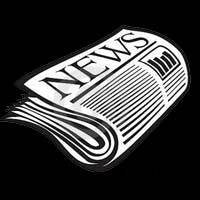 The deadline for the next newsletter September 1. Keith Smith reported that DVD’s are now available for the May memorial service and can be purchased from him for $15. Discussion was held on publishing the Foundation’s meeting minutes in the bimonthly newsletter. Charlie Neubert moved to publish the Foundation’s meeting minutes in the FFAM newsletter. Greg Wright seconded the motion and all approved. Anyone who has a fire service member death (former or current) in their department or community, please get the info to Keith Smith for the memorial. Tim Bean moved to adjourn the meeting. Rick Dozier seconded the motion and all approved. President Hoover adjourned the meeting at 10:05 a.m.